Electrician CIncinnati: Do You Need Rewiring in Your Home? Your electrical wiring won’t last forever, and eventually, your home will need to be rewired. If you turn on an appliance in your home, do your lights flicker or get dimmer? If so, you could be overloading the circuit. If this happens repeatedly, it could damage to the wiring and possibly even lead to an electrical fire. Scorch marks are a sure sign that there is an issue with your electrical wiring that needs to be addressed. If you see scorch marks or the outlet feels hot to the touch, have a professional electrician take a look as soon as possible. Have your switches, appliances, outlets or circuit breaker started to crack, pop or buzz? If so, you have a serious problem on your hand, and an electrician needs to be involved right away. When you notice smoke, first check the appliance to assess the damage. If the appliance was smoking, it could be a sign that it needs to be replaced. If the outlet was smoking, on the other hand, you need professional assistance immediately. 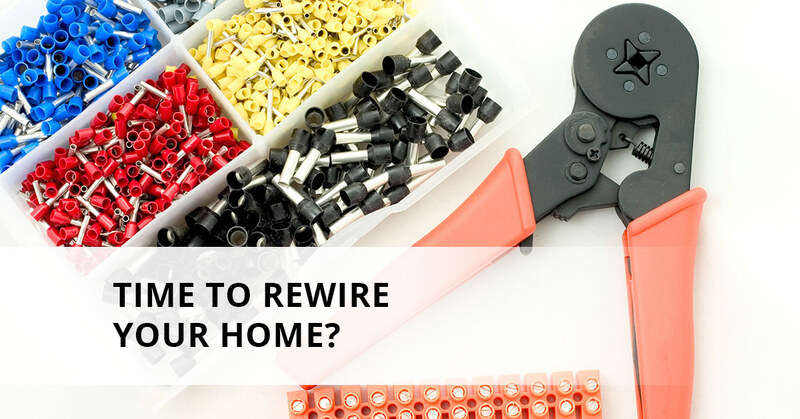 Does your home need to be rewired? Schedule an appointment with our electrician online today.